Miami Regionals requires the ACT examination for all students who have graduated from high school fewer than two years prior to admission. If students have not taken the ACT, Miami University Regionals will give students the opportunity to take the exam on campus. 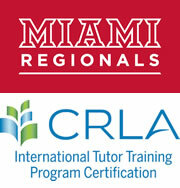 The Residual ACT is administered for the convenience of Miami University's Regional students. The scores WILL NOT BE REPORTED to any other university. The registration for the Residual ACT is handled by Miami Regionals' Tutoring & Learning Centers (TLC). Please note that a minimum of 60 days must elapse before a student can re-take the Residual ACT. If a student re-tests residually within that 60-day period, the scores will be canceled and the test fee will be non-refundable. If you have a documented learning disability, impaired vision, or other conditions that require accommodations, you will need to contact the Office of Disability Services in either Hamilton (513-785-3211) or Middletown (513-727-3312) before you register for the test. All tests occur at 8:00 a.m. Examinees will be dismissed by 12:30 p.m. Dates and locations are subject to change. On the day of the test, please bring a photo identification card (your driver's license or another form of ID that contains both your photo and signature). You will not be permitted to take the exam without a picture ID! The use of a calculator is only permitted on the Mathematics Test. Please use a battery-powered, four-function, scientific or graphing calculator; models which make noise, use paper tapes, have electronic writing pads, have a typewriter keypad, or those which can transmit information wirelessly are unacceptable. A registration fee of $50.50 will be charged to a student's bursar account at the time of the test and is non-refundable. If you have questions about the Residual ACT at Miami Regionals, please call the Hamilton TLC at 513-785-3139 or the Middletown TLC at 513-727-3440.